Record numbers of children have enrolled in Belgrade Schools over the last decade. 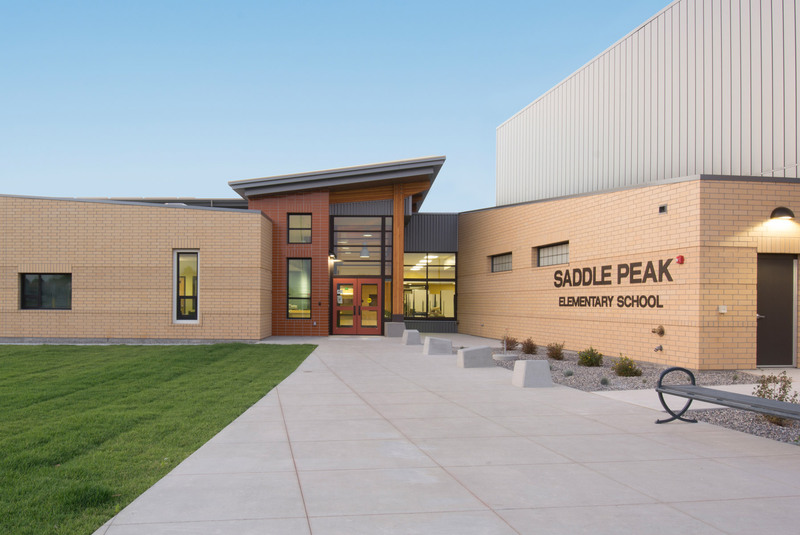 Comma-Q was instrumental in planning, programming, bonding, design and finally, in 2013, construction of the new Saddle Peak Elementary. 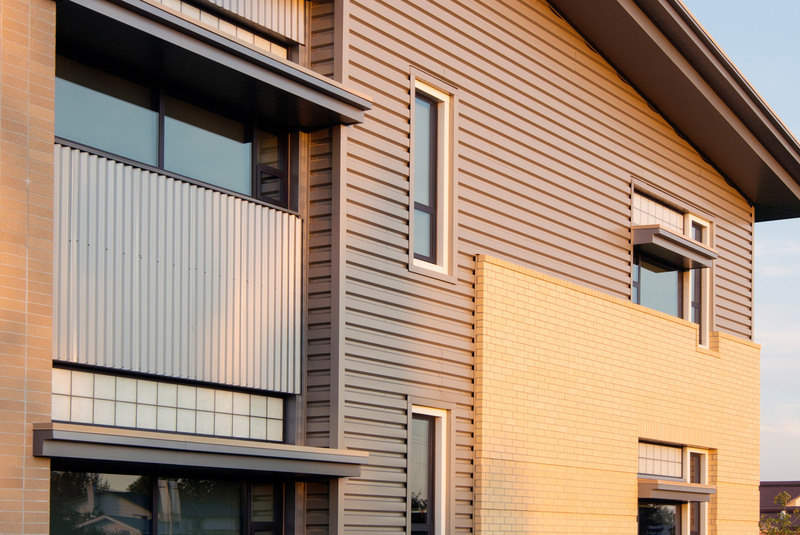 The Gallatin Valley itself inspired the design: big, slanted exterior lines and faces, with high ceilings and large windows of the two-story building effectively utilizing a smaller footprint for energy savings. And the nearby Gallatin River provided a basis for color schemes and material selections. 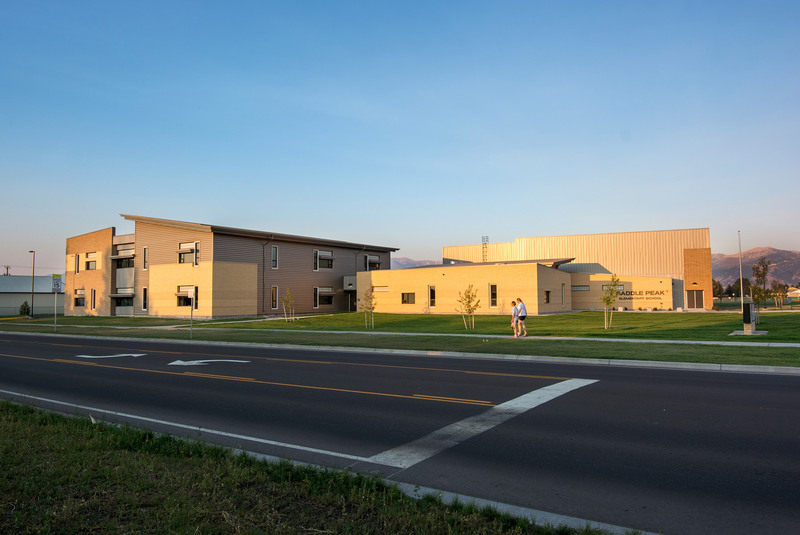 In this, the school emulates both the nearby highlands and lowlands. 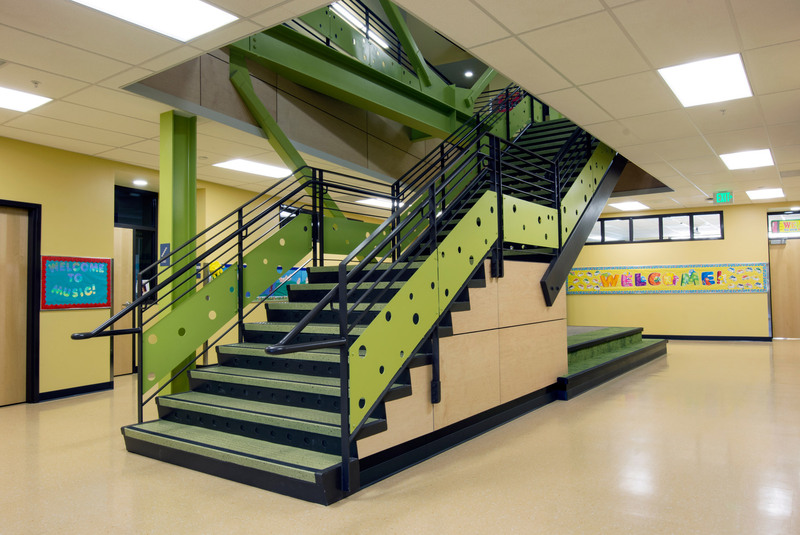 Classrooms are pod based, including moveable walls and smaller areas between classrooms which are built in for resource areas or smaller learning groups.